Eben Moglen, Professor of Law and Legal History at Columbia University, and founder, Director-Counsel and Chairman of the Software Freedom Law Center, spoke about “Freedom in the Cloud: Software Freedom, Privacy and Security for Web 2.0 and Cloud Computing” on Friday, February 5, 2010. How we got here is quite a scary story. But nowhere near as scary as getting out again. 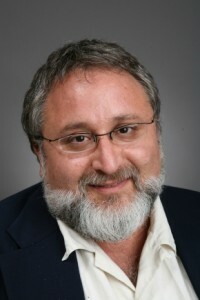 Eben Moglen, a Professor of Law and Legal History at Columbia University and the founding director of the Software Freedom Law Center, warned you about privacy and the cloud before. At a public meeting of the Internet Society of New York on February 5, Moglen asked you to consider how much worse things have become since then and explain what you can do to reclaim your freedom in the era of Web 2.0. DVD: ISOC Members, educators, libraries, and other interested parties can obtain a free DVD copy of this event. Email dvd@isoc-ny.org and ask for DVD1710. A $5 paypal donation to cover costs is optional. Pingback: Sotsiaalvõrgustikest ja privaatsusest | SQroot :: Don't be negative! Pingback: MS Office vs OpenOffice.org – hetkeseis ja tulevik | SQroot :: Don't be negative! Pingback: The Alternate Net We Need - Constellation Systems, Inc.